Published: Jan 24, 2019 - Modified: Apr 17, 2019 - by Chef Rodney - 1 Comment - This post contains Ads & Affiliate Links. 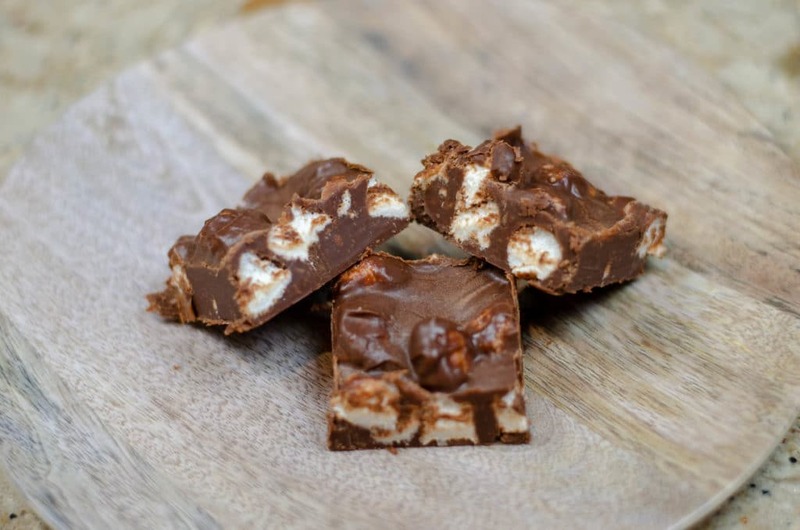 This delicious Marshmallow Chocolate Squares recipe was given to my mom decades ago from her sister Lynne. 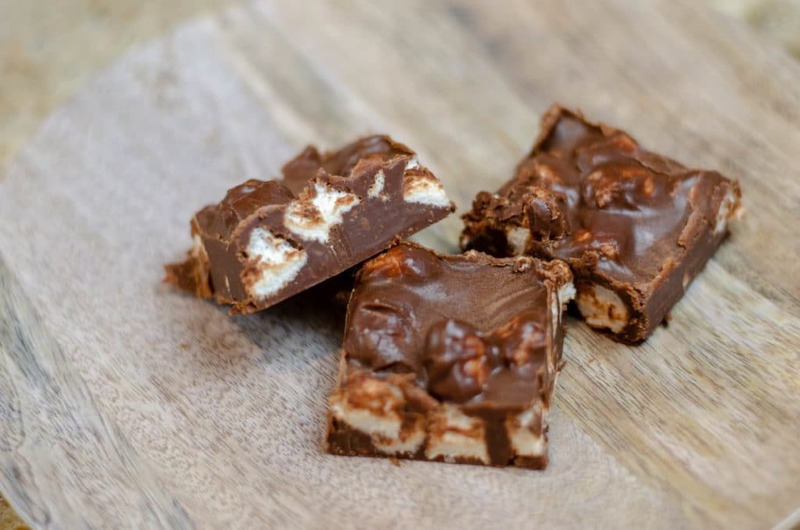 They used to make these squares around the Holidays but in all seriousness, you could make these anytime you are in the mood for a Chocolate and Peanut Butter Treat! If you look at the list of ingredients and directions, you will see that these are super easy to make. The longest part of making these squares is letting them chill in the fridge for a few hours. If you plan this recipe properly, you can make it later in the day and let them sit overnight in the fridge. In a large pot over medium to low heat melt peanut butter and butter until well mixed together. Add chocolate chips and and mix together until all the chocolate has melted, Stirring constantly so the chocolate doesn't burn. When all ingredients have melted, add the marshmallows while stirring constantly. Pour mixture into greased 8 x 8 glass baking dish and refrigerate until the chocolate has hardened, minimum of 2 hours. → If you or anyone consuming this recipe has a nut allergy, please take the appropriate precautions. 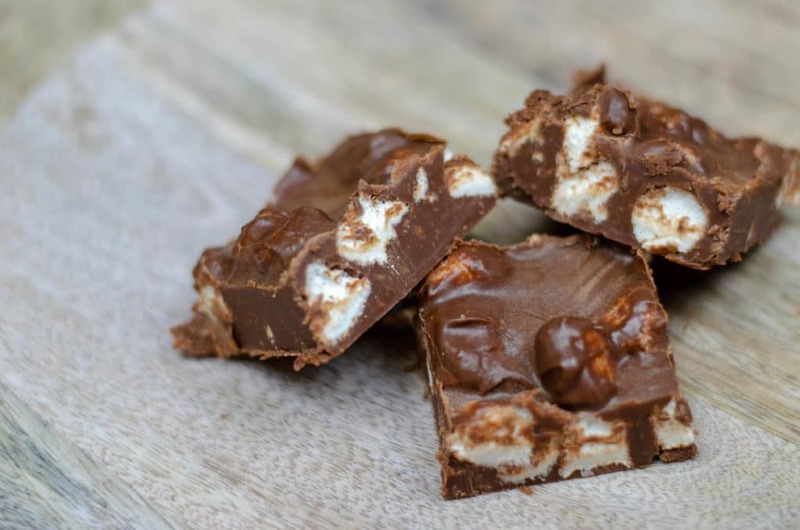 These squares are so easy to make and are to die for, especially if you like chocolate. Give them a try and see for yourself.